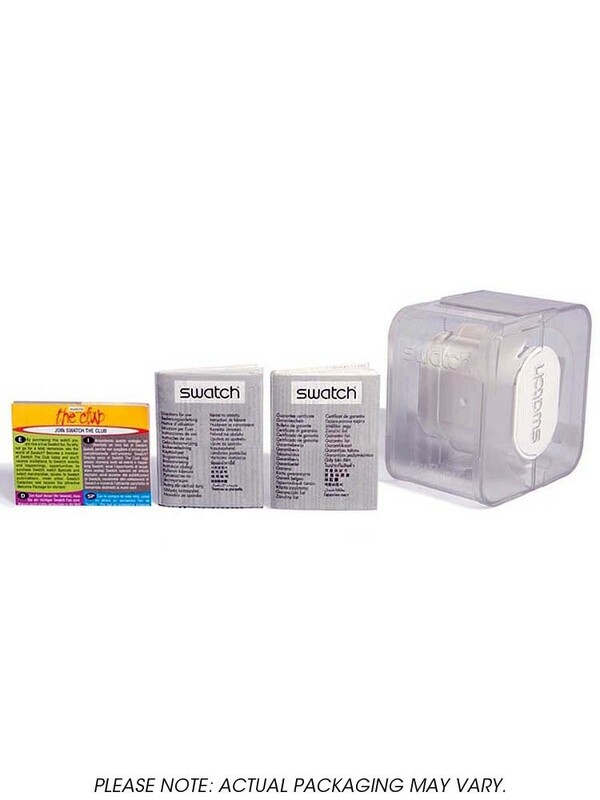 Presenting this unique men's watch from Swatch. 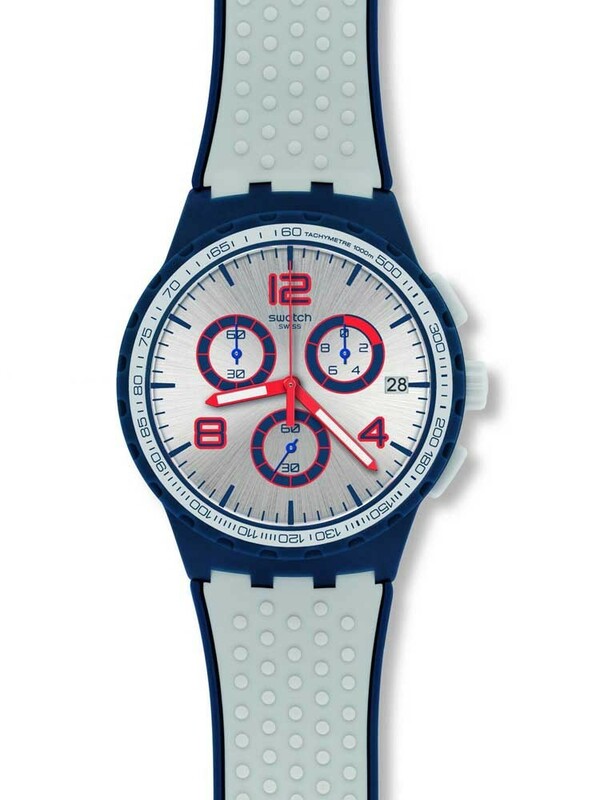 The blue plastic case houses a silver dial with red and blue detailing, containing large hour markers and chronograph sub-dials. 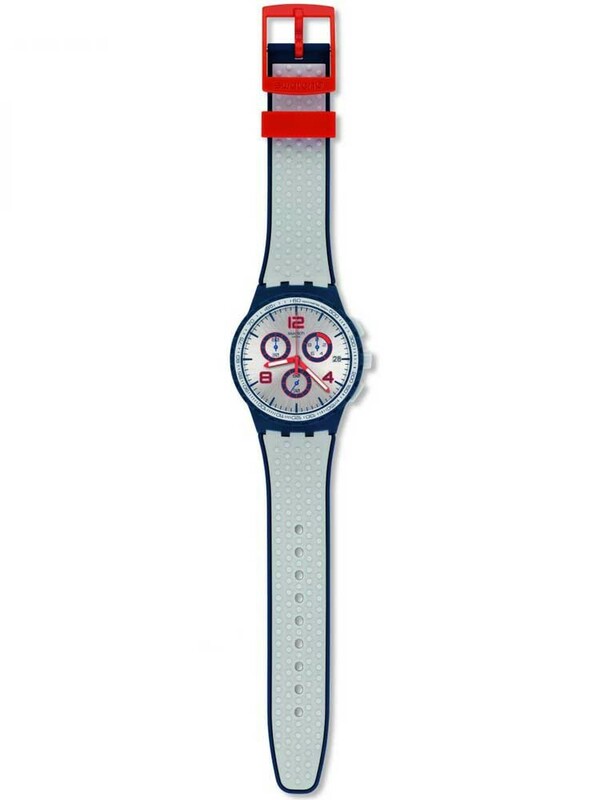 The white rubber strap features a red buckle and keeper for an added pop of colour.